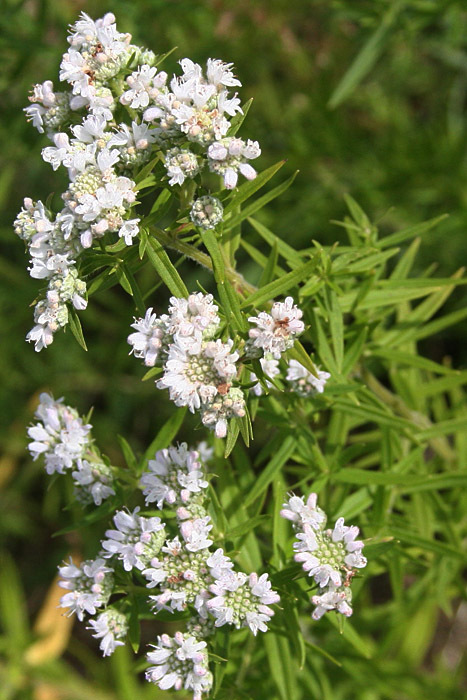 Clusters of white blossoms contrast well with the glossy dark green foliage of the Mountain Mint. Blooming from mid-summer into the autumn it has the added benefit of a great mint aroma. A magnet for butterflies and hummingbirds, Pycnanthemum virginianum was once used by native peoples to make a tonic.